Hey, do you miss my movie reviews? It’s been awhile. I thought I will be visiting a house full of cobwebs — old, boring, and with rehashed memories — but surprisingly, it is youthful, vigorous, and sparkling. Suddenly, Spider-Man movies become relevant to the bigger world of superheroes. While it faithfully adhere to the friendly neighborhood charisma that I used to know, (in fact it’s the most racially friendly superhero movie I’ve ever watched), it also stirs memories of the great coming of age years of self-discovery and unrestrained enthusiasm. The producers can even make a spin-off from here. 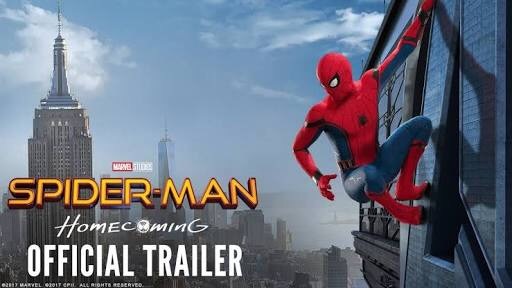 Hollywood’s newest Spider Man, Tom Holland, brought all his youth, swag, and gymnastic skills in this movie. These are evident especially when he has the face mask on. It would be easy to identify him as the best Spider Man that the social media savvy millennials can relate. He seems to be the first vlogging superhero. It’s the perfect movie for the family especially those with teens. It has great insights on the struggle of the youth and how should it be managed. Have you tried the popcorn at The Movie Snack Bar in Ayala Center Cebu? I had sour cream and barbecue yesterday for the first time. They were both way better than that of the most hyped brand. Just give it a chance and be a convert like me. By the way, there are two post credit scenes. Please be patient. It’s fun! Thank you, Ayala Center Cebu for the movie treat.